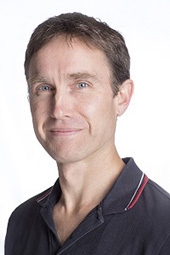 Ben Newell is a Professor of Cognitive Psychology and Deputy Head of the School of Psychology at the University of New South Wales. His research focusses on the cognitive processes underlying judgment, choice and decision making and the application of this knowledge to environmental, medical, financial and forensic contexts. Ben is also a member of the inaugural Academic Advisory Panel of the Behavioural Economics Team of the Australian Government.